This is just quick update. I have decided to change my business name and structure a bit. 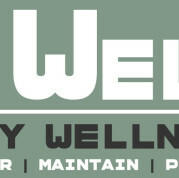 The new name is “Body Wellness”. As far as structure goes, it is my goal to start providing more all encompassing wellness services. This means my treatments will include even more stretching, mobility, strengthening, corrective exercise, and most importantly client education and interaction. Please contact me if you have any questions or want to set up a free consultation.